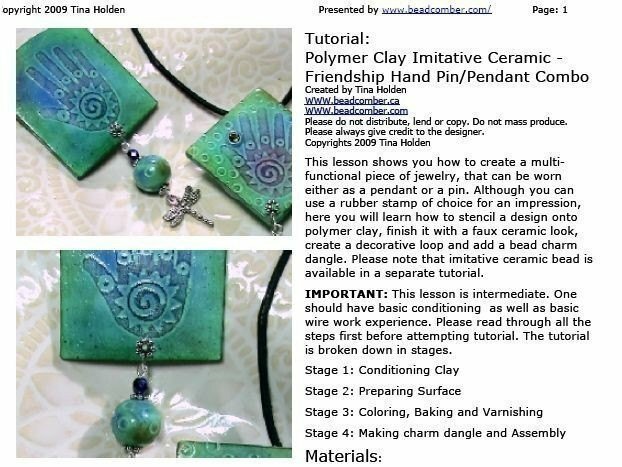 This tutorial consists of 16 pages, 41 steps and is packed with 48 clear photographs. 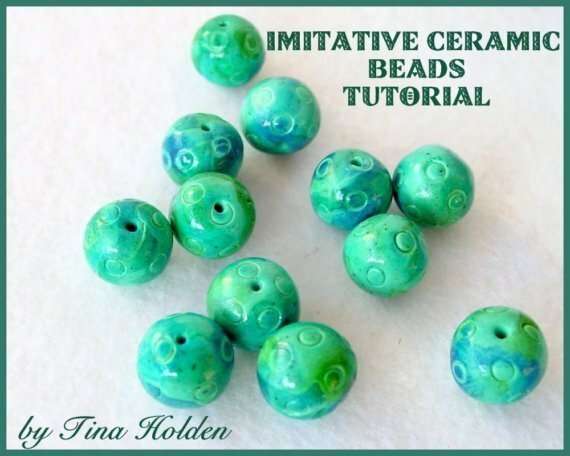 Plus the bonus tutorial for beads is also included. 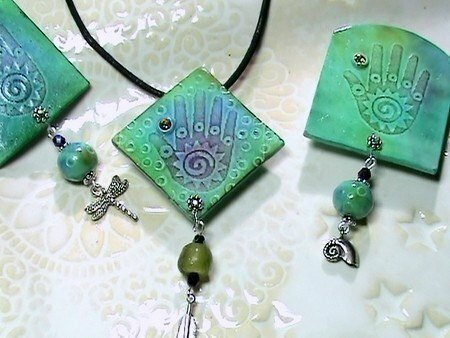 This lesson shows you how to create a multi functional piece of jewelry, that can be worn either as a pendant or a pin. 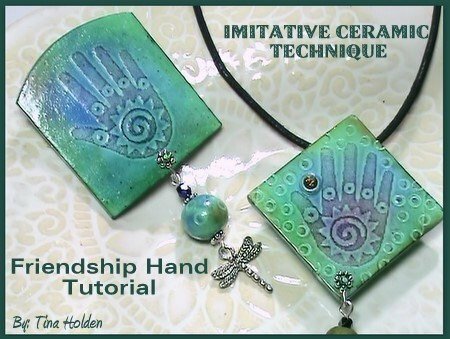 Although you can use a rubber stamp of choice for an impression, here you will learn how to stencil a design onto polymer clay, finish it with a faux ceramic look, create a decorative loop and add a bead charm dangle. 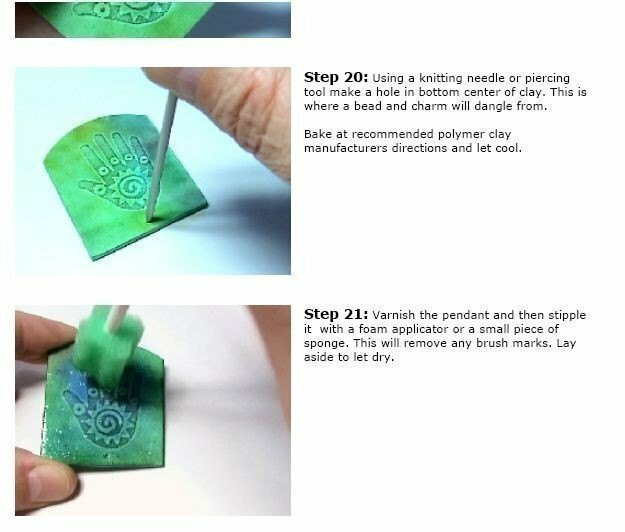 Please note: Stencil is available here and a Findings Kits is also available in my shop. This lesson is intermediate. One should have basic conditioning as well as basic wire work knowledge. The tutorial is broken down in stages.